Item Number: 234-260 17827 Actual Weight: 6 lbs. Use to securely mail confidential documents. 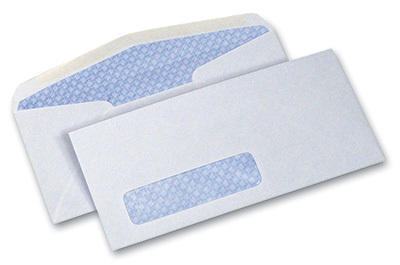 Envelopes feature blue tint for privacy. Moisten gummed flap to seal.